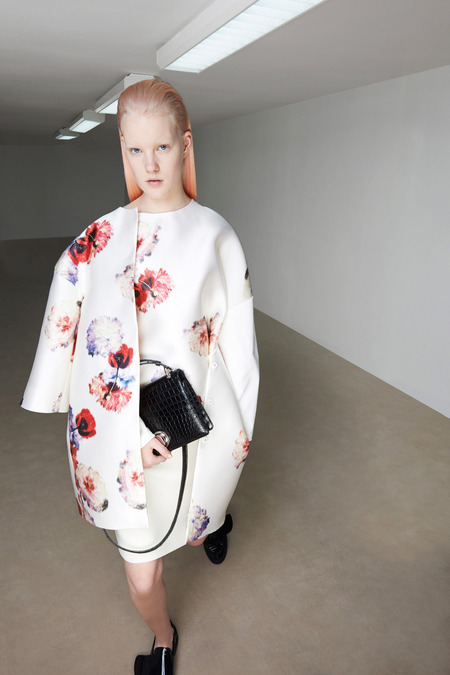 Giambattista Valli; one of my major recent fashion obsessions, never seizes to amuse! Almost every piece he creates is breath taking, conveying a message of serenity and femininity. 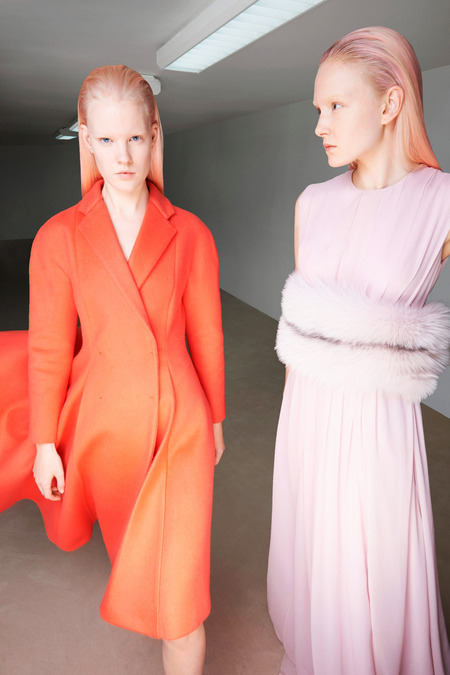 Valli’s recent release of pre-fall collection sways a bit from the usual style the designer is most known for. This collection, for the first time actually includes suede leggings with zip-up ankles; very not in Valli’s nature. However, do not let this get you fooled, the collection consists of a large number of very feminine garments that entail floral, leopard and maxi skirts. The most important part of this collection is focused on the outerwear – mainly coats and jackets. Tops with embroidery, sequenced chiffon dresses and embroidered tweed are all but a few of the signature feminine and soft Valli trademark.